PRAGUE, CZECH REPUBLIC. 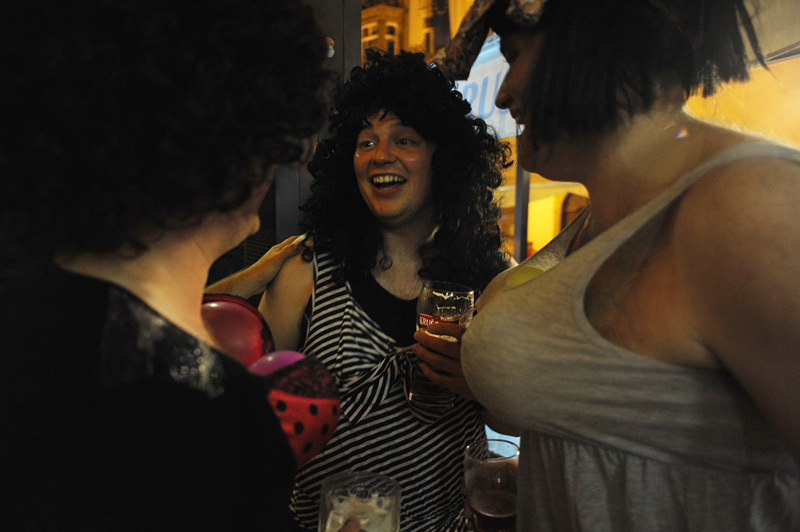 Friends and family hold a stag party for Lee Meynell, 28, of Middlesbrough, England (at left with pink balloon breasts) two weeks ahead of his wedding day at a bar in the Main Square of Prague, Czech Republic on August 5, 2011. Stag, or bachelor, tourism in Central and Eastern Europe is a popular and low cost alternative to holding similar festivities in the U.K., bringing hordes of drunken British men into main squares and bars across the region, drawing complaints from local women.